The glorious story of the Colnago Super series began in 1968 in Cambiago, Italy. 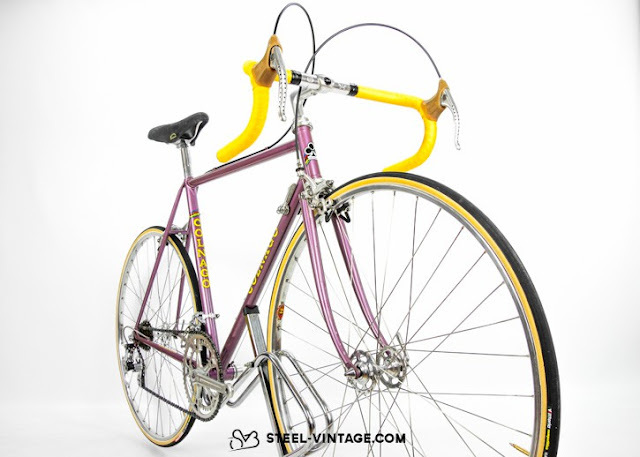 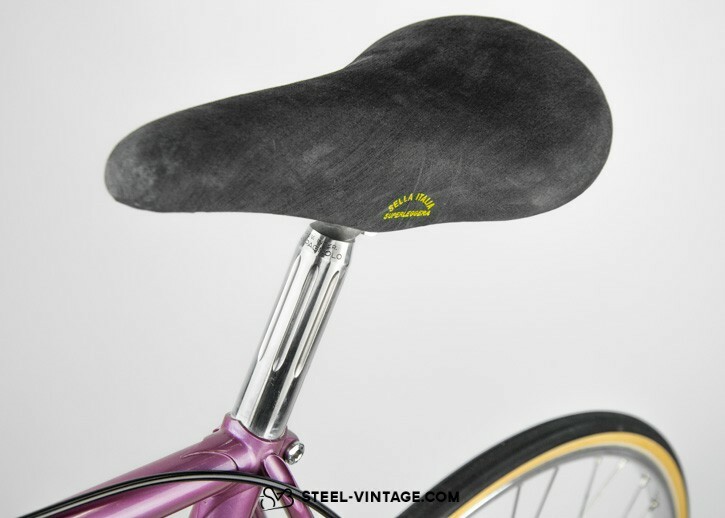 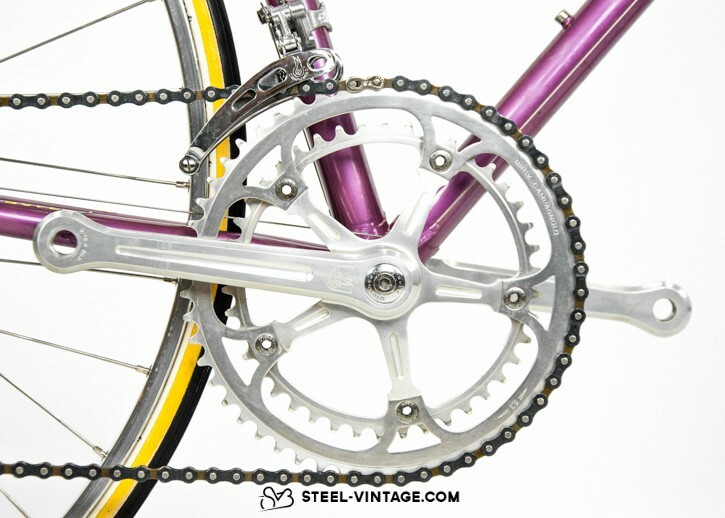 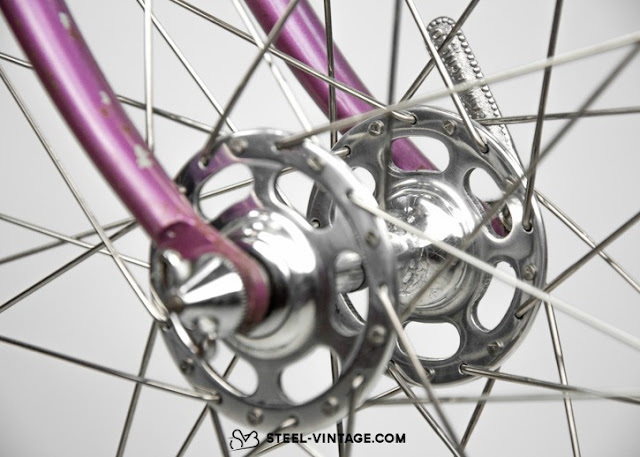 Ernesto Colnago designed and manufactured a bicycle which became a legend of the cycling history and the top model of his 1970's line. 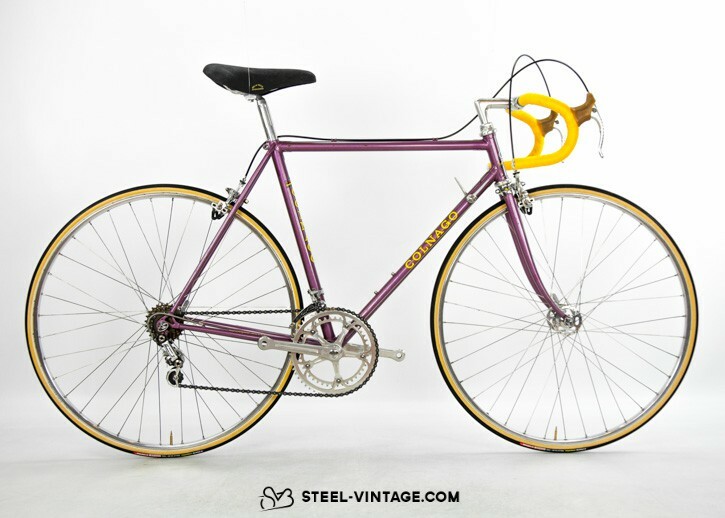 Made of Columbus SL steel tubes, with a shorter, stiffer and lighter frame, the Colnago Super was, and still is, a high-performing bicycle. 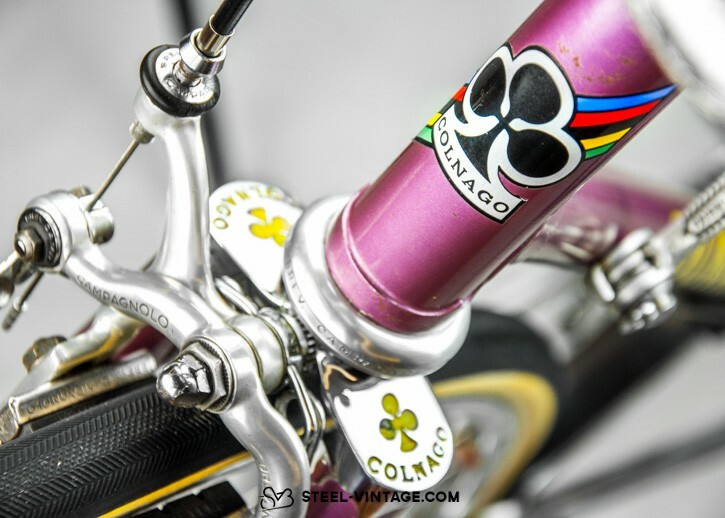 This Colnago Super is in original condition and is fully equipped with a Campagnolo Super Record groupset, the most iconic groupset of the 1970's. 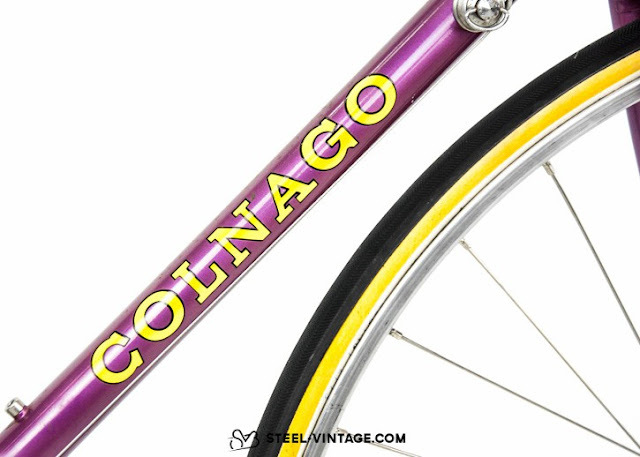 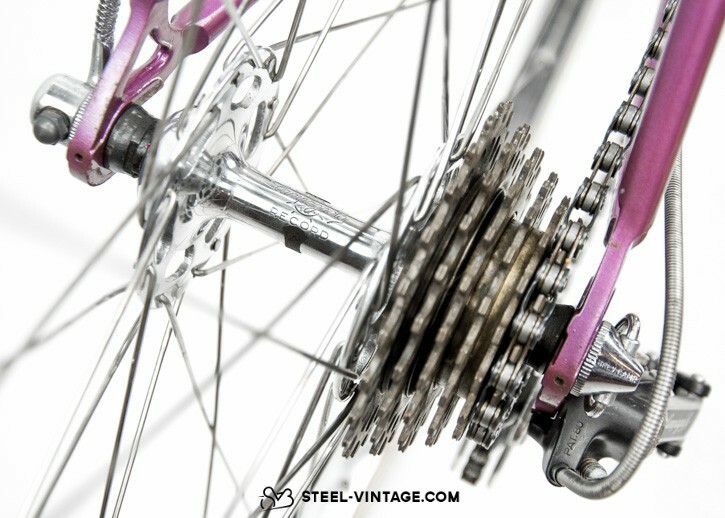 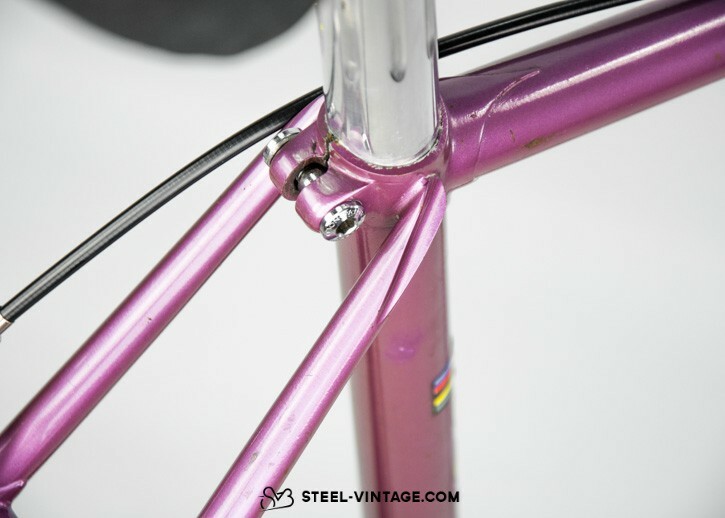 An unusual violet paintwork makes this Colnago Super even more charming. 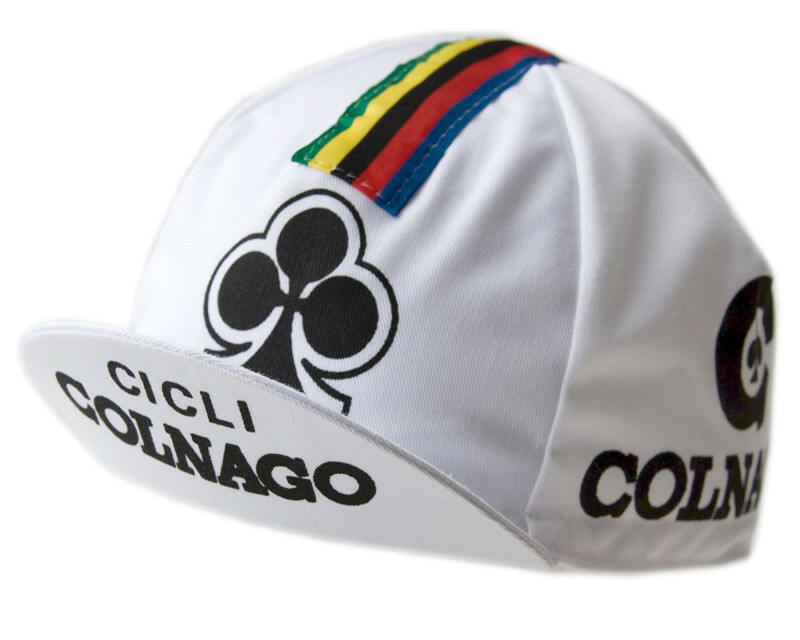 The perfect choice for all Colnago fans!